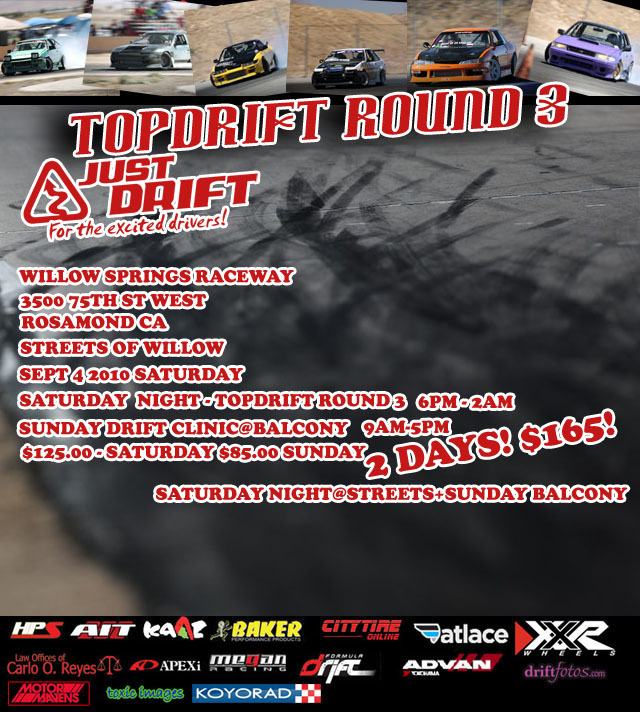 Topdrift Rd3 registration – open! Long Slide… Night Drift… Round 3… Let’s get ready to rumble! Perfect combination for an awesome competition at night. Best part, Streets of Willow! Registration is now open for Top Drift round 3. JUSTDRIFT, TOPDRIFT | charlie@justdrift August 17, 2010 | Comments Off on TopDrift Rd3! Long Sliders!